Whenever I click the Sims 4 icon it takes me to Origin, but when I click the Plau button on Origin it thinks about it for a moment and then does nothing. The Sims 4 will not load, it works fine with my other game but not with Sims 4. I tried restarting my computer but had the same issue, Origin will not load the Sims 4, although it did so earlier in the day. 551 people had this problem. Ok. And did you install/update anything, as per my question in my previous post? Can you go into Documents > Electronic Arts and drag the Sims 4 folder to your desktop. Now try launching the game again. Have you tried repairing the game? Right click on the game in your games library in Origin and select repair game. Between it loading and then not loading, had you installed any new content into the game or patched it, or updated your Mac? You don't have to launch the game through Origin, you can just double click on the game in your Applications folder. 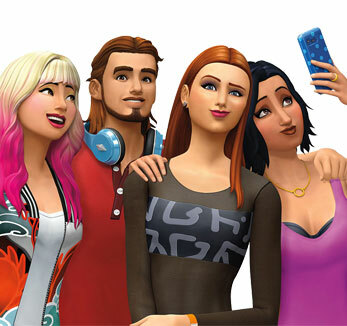 Origin will automatically open and launch Sims 4. Thanks for the advice, I just tried repairing the game but it didn't seem to make a difference. I've tried opening it from my desktop and applications folder and it opens Origin but doesn't launch the Sims 4. Whenever I click the icon it closes then reopens Origin but not the game. What is after this step if none of the previous options worked? It hasn't deleted your saves or any user data. The game has simply recreated the Sims 4 folder. Your saves etc. are in the folder you dragged to your desktop. It's the first troubleshooting step you should try if your game won't open. If your game loads after moving the folder it means the issue is somewhere in your user data - corrupt save/incompatible CC or Mods etc.